What have you learned from failure, lately? Put simply, failure hurts. Everyone has failed at some point, but it’s less about the failure itself and more about how the person who has failed picks themselves up, dusts off that failure and gets back to work. Go down a list of great innovators, thinkers, artists, athletes, Hollywood stars and public figures and you’ll see a Who’s Who of people who used failure as a driving force on their way to re-shaping the American culture and lifestyle. People like Henry Ford, Abraham Lincoln, Albert Einstein, Steven Spielberg, Michael Jordan and Elvis Presley all achieved greatness along avenues paved with failure. What each of those people took from their failures was different, but here are six lessons that anyone can take from their missed attempts at success. 1. Failure does not actually exist. Usually, things don’t work out for a reason. Failures are a natural method for someone to move toward a better path. 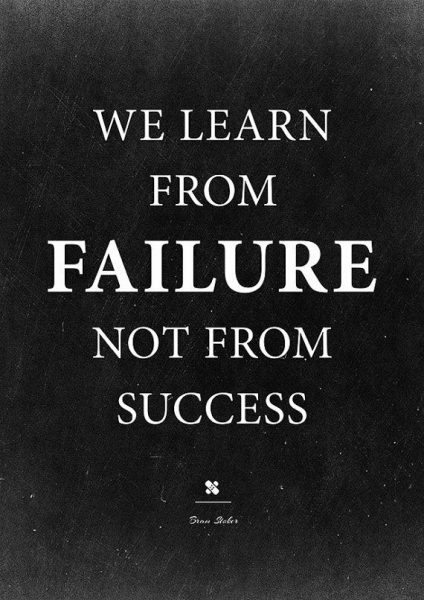 What someone may perceive as failure is likely just a lesson they’ll learn on their road to success. It only becomes a true failure if they don’t take ownership of mistakes and attempt to learn from those errors or do the right things to fix them. With this in mind, failure is actually a means to an end rather than simply being the end. Failure then, means changing direction. 2. The learning process is always valuable. 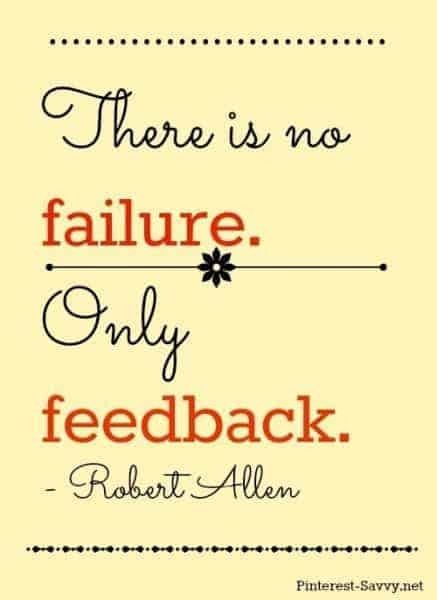 Someone who has failed is best served by exploring the reasons why and being open to learning what they could have done better. Once they’ve done that and taken steps to improve their performance rather than feeling defeated, they can recommit to trying again. One of the worst side-effects of failure is losing the desire and the courage to try again. Effective learning can only be done when those without ego have the long view in mind and stay connected to why they started along their current path in the first place. 3. 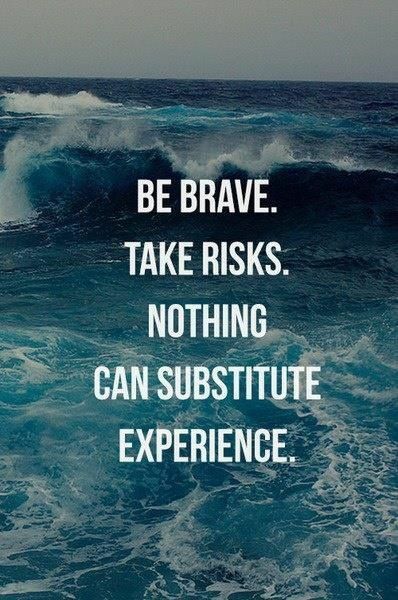 Taking chances is the key to success. The point Michael Jordan is articulating is pretty simple. With great risk, comes great reward. If you never make a real attempt, you’ll never succeed. Instead, you’ll wonder what might have been if you hadn’t been so afraid to fail. 4. 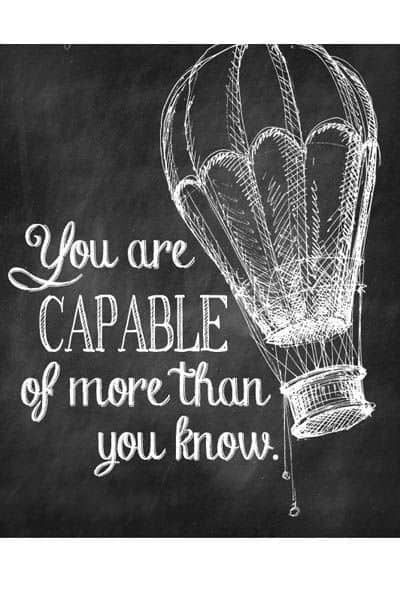 You are capable of more than you think. Odds are, you are much more of an expert on something than you realize. People tend to forget about how much they really know concerning their topic of expertise because they get caught up in daily life. But, if challenged to write it all down, they tend to know a lot more than they realize. 5. 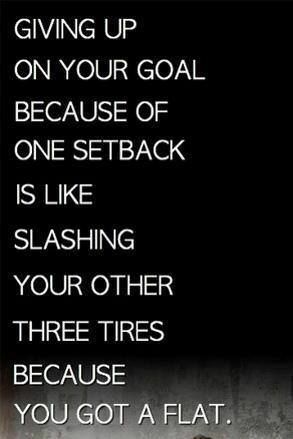 Perseverance is an asset. Failure is going to happen, but this does not mean failure translates to success. Perseverance is the engine that makes the journey from failure to success possible, because when someone fails it doesn’t automatically mean they won’t try something else that doesn’t work. Failing again is always possible, after which perseverance is the only thing that will see them through the next rinse and repeat cycle. When it’s all said and done, someone who fails has to own their mistakes and move forward with a focus on improving things they did that were successful in some way rather than focus solely on avoiding things that contributed to their failures. Failure can feel like a lonely experience, but all it takes is tracking down someone who has found even a modicum of success to find a person who understands the struggle of coping with failure. Famous examples of this can be found practically everywhere you turn, but one story that stands out is a man who played a big role in our daily lives. Thomas Edison was once told by his grade school teachers that he was “too stupid to learn anything.” He was fired from his first two jobs due to a lack of productivity. In the process of inventing the lightbulb, Edison made hundreds of unsuccessful designs before finding the one that eventually revolutionized the way people live their lives to this day. Edison addressed failure often, both in his life and in his words. There is perhaps no better conclusion to this reading than a quote from the man whose list of innovations includes the telegraph, paraffin paper, the phonograph and, of course, the electric lighting we rely so heavily on.